This is my grandmother's high school graduation picture. Her name was Wilma Faye Troutman and she was 18 years old. I've always loved this picture and, after she passed away, I somehow managed to get home with the original while my mom has a copy (I feel a little bit bad about that). It's even still in the original paper frame, which is in pretty good shape considering it's 61 years old. I couldn't help but think of her last Wednesday morning, while on my way home from Granbury after seeing the oral surgeon. Highway 377 between Stephenville and Granbury is a small two lane road that passes through several small towns between here and there. The highway is mostly rural, with wildflowers growing up along the shoulder on each side. It's a lovely, idyllic drive. I thought of her because when she was alive she enjoyed long drives from the panhandle to central Texas, just to see the wildflowers. Though the bluebonnets are all gone now because the weather is getting too warm, the countryside is still alive with pink and white primrose, vibrant red Indian paintbrush, and a pretty, abundant yellow flower called calliopsis. She loved them so much that seeing them always brings her to mind, but particularly so when things are still and quiet, and when I'm alone. Though she passed away in August 2010, and I didn't get enough chances to see her when she was alive, I miss her. She was a beautiful person and she was always so gracious to me, her first grandchild. I imagine she would be delighted by the colors and variety that blanket the rural green highways and find that I'm extra delighted by them, now, too. Just one more small way of remembering her. 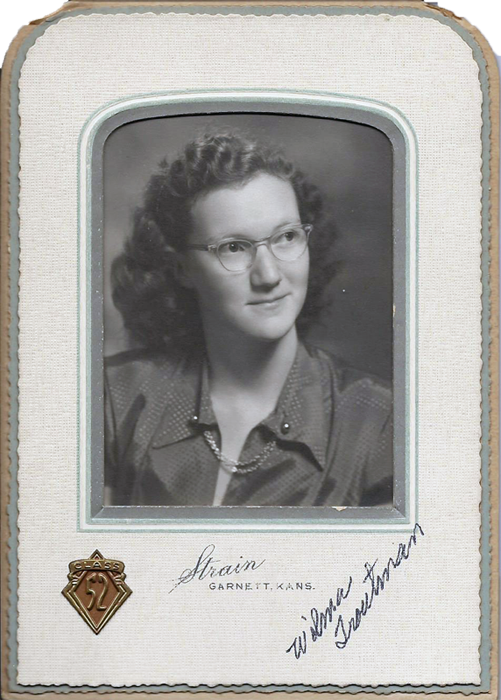 Oh, btw, the handwriting (her name) on the picture is Grandma Troutman's. I know that she loved flowers, which is why seeing them makes me think of her. <3 Love you! I thought that handwriting was Grandma Wilma's! Their handwriting looked so much alike! Maybe there's something to that, since my handwriting looks very much like yours.